The last couple of days have looked like this for me: Stare at the computer, refresh. wait! refresh. pounce! Email! Text! *silent prayer* please contact me!!!! It’s July and my lease ends at the end of the month. 5 days people! I’m frantic! Like a beast! rahr! My search started easy and breezy enough. I’m on an amazing Facebook Expat group and a girl posted that her place was up for rent. The location? A street away from Hotel d’Ville. The dead center of Paris. Perfect? ohhhhh yes. Even better, the price! At 480 euros even though it was for just one month I was game. We met a couple of days later so I could see the place, she could meet me, and we could decide if it would work. She was incredible! An actress who had been living here for 7 years. The place was beyond tiny (12m²) but ridiculously cute and filled with charm.The building? Old and looked like it was straight out of Harry Potter with exposed wood beams and long winding hallways. The meeting went perfect- she said on the spot that the apartment was mine and we planned on meeting up mid-July to exchange half the rent, and then the other half when I got the keys at the beginning of August. Done! It was only for a month though and I needed a place until at least December. I figured an extra month for looking would actually be perfect- no rush, and I get to enjoy an awesome location while she was on vacation. July 14th- Bastille Day. After partying all night at the Fireman’s Ball, I get a text message. There was a major plumbing disaster. So bad that they would have to rip out the entire bathroom and there was no idea on when that would happen. My first thought, sheer terror- I have half a month to look!? Another text and slight relief- she had a friend that could rent to me for the month of August. Could I come visit that day? I hadn’t gotten more than 3 hours of sleep the night before but gosh darn it my blood was pumping and I was going to that visit!! Her friends place was quite the hike- 35 minutes by metro from my current place, and almost to Montmartre. For me, that was the first sign (15 minute walk to Montmartre…). That’s far. Real far for me and would require a lot of metro time. The apartment was adorable. Her friend was a photographer. There were film rolls as fun curtains into the living area, separate kitchen, loft bed, area for chatting with friends. Awesome! Loved it!! I told them on the spot (in my panic at my current situation) that I would take it! Plans were made and all was set and then I got to thinking. On the long train ride home. Did I really like the area? Did I want to take the metro for what would end of being 45 minutes to get to school? The apartment was cute, the owner was great, but did I want to settle for a month? Also, I was getting a not so great vibe about the area. It looked like it’d been around the block and, a huge thing for me, there wasn’t a lot to do nearby! No park where I could go running around the Eiffel Tower (man am I spoiled with my current location!). But that started to become really important to me. I like being outdoors and the thought of coming back to an apartment and not feeling like I could walk around, or walk to a park nearby was really nagging at me. After chatting with my friends, I texted her back and said I needed a couple days to think about it. After those couple of days, I wrote back and said I was going to keep looking. Good idea? who knows? Madness ensued. One of my friend’s said they had heard apartment hunting in Paris was worse than NYC and even though I have not looked for an apartment there, I’m about 90% sure that statement is correct. Planning to go the un-agency route and save potentially $1000 (or more), I started checking pap.fr and leboncoin.com constantly. 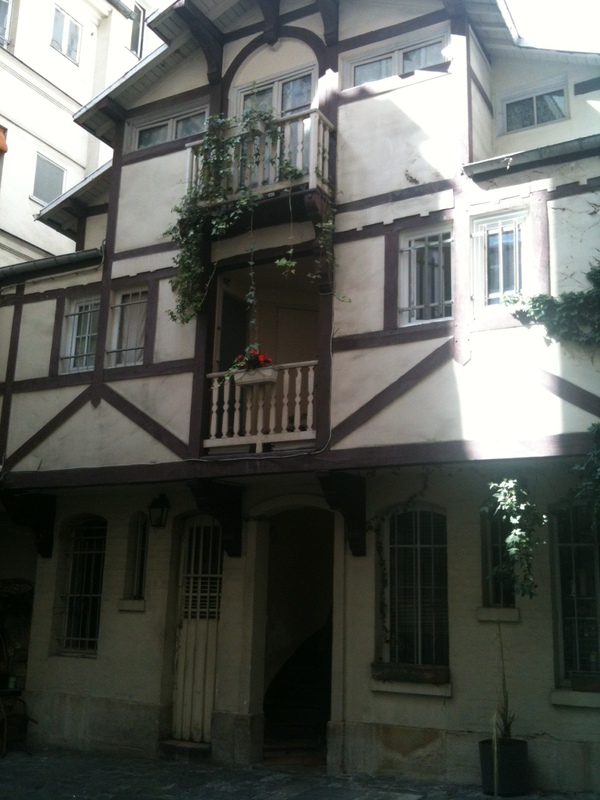 I sent email upon email to potential apartments in French asking to see the place. Apartment searching in Paris is unlike any type of search I’ve ever done in the States. In Dallas, I would use a free service online to find a complex I liked, or just drive by the area and walk in to find super helpful people (usually) trying to sell me the apartment. dum de dum dum dum It was easy- did I like the apartment/area? Was there anything available for the dates I needed? A quick view of an apartment similar to one that I would get and boom- lease signed, good to go. In Paris, it’s different. The principal is the same- but instead of apartment complexes, you have apartment owners. French apartment owners. And instead of helpful apartment rental people, you have a visit consisting of an interview where the owner decides if he/she likes you and if you are sufficient enough to rent the place. The first apartment visit: I was beyond excited. I got a response from the ridiculous amount of emails I’d sent!! Traction!! The pictures online looked great. I knew the place was small, but I didn’t care! The location was ideal! Down one of the boulevards that branched off the Arc de Triomphe. Everything looked great, except there were two small but very important footnotes. The building was beautiful, soul shatteringly so. 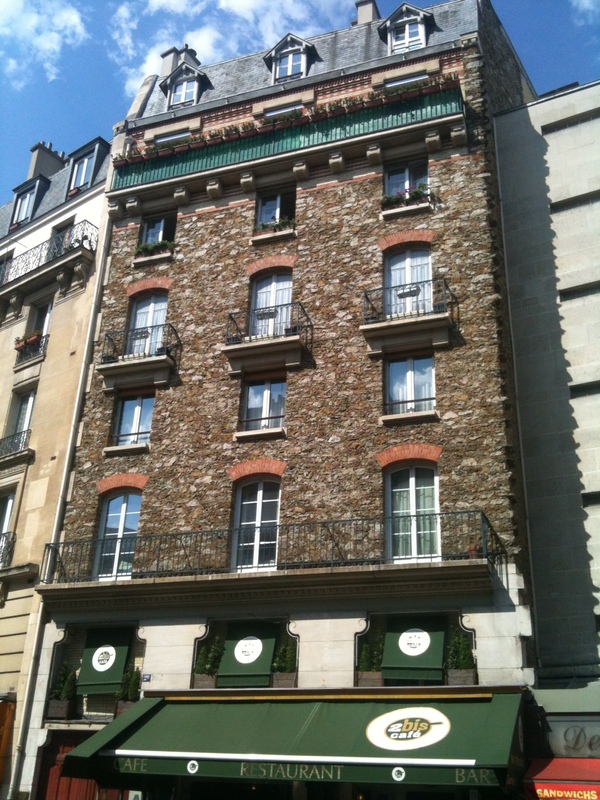 One of those old Haussman buildings with ironwork terraces and ugly gargoyle faces. We waited. A couple more people showed up. 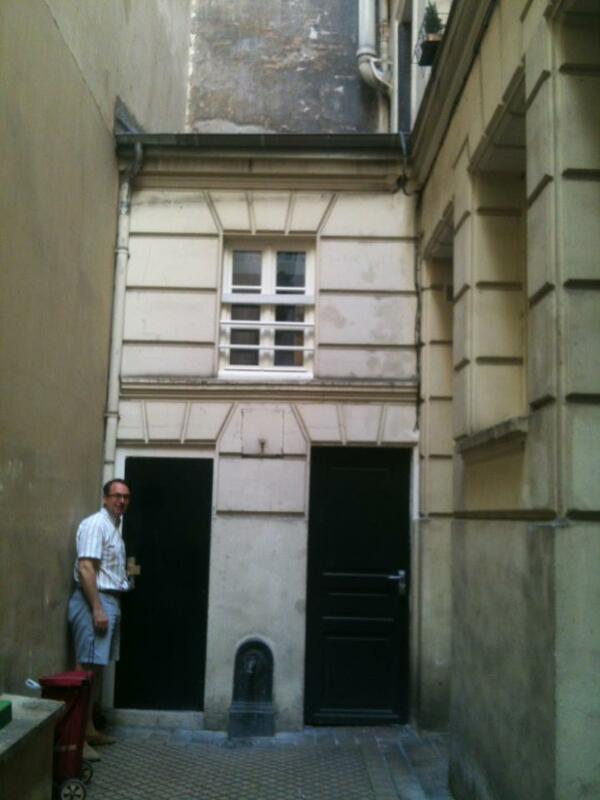 The landlord came and we were led through a beautiful entry with a marble staircase to a door off the courtyard. The landlord open the door and muttered something in French. The other people nodded. I nodded. And the ascent began. At points the stairs were pitchblack but at all times topsey turvey. Our glee at the site of the building soon turned to grumblings about never having to exercise again and how drunken nights up these stairs were entirely not possible. But at last we reached it. Woohoo apartment! We walked down a very tattered hallway to a tinsy tiny apartment with two sofa beds and a loft bed (why? who knows?) and a port hole for a window. I turn to the sink and looked at the handle. It was pushed all the way up and there was no water coming out! The landlord walks out of the apartment into the hallway bathroom and promptly turned on a garden hose in the toilet room. All four of us turned to each other and said No, No, No, Nope!! and bee-lined out and down a ridiculous amount of stairs, after saying merci– but of course! The second apartment visit. The next apartment owner to bite was again in a very desirable location. Actually one of the most expensive streets to shop on, Avenue Montaigne. A hop skip and a jump from the Eiffel, by the Seine, and again in one of those beautiful old buildings. A little before our appointment meeting time, I texted the owner to let her know I was there. She promptly called and started a very long instruction list of how to get to the apartment in French. Here’s what I got: Entry code- check! hollars! I’m in the building! ok a la gauche- alle op! check! Elevator- check! Now how to get to the elevator behind the coded door- errr.. Lots of apologies- more French- me trying to speak French. And she hangs up. I cross my fingers that she is coming down to pick me up. And yes she is, down the 6 flights of stairs she really didn’t want to have to climb multiple times that day. whoops… And up we went, a little chatter in French about the weather and then questions- which not understanding well enough, I reverted to English, which received a “You’re in France, you must speak French” from the landlady in perfect English. ah yes yes I know I know! I’m taking lessons. We get there and voila- not too shabby- a king’s palace compared to the last place! Itsy bitsy- 9² meters but very well taken care of, sofa bed, flat screen TV, two coffee machines… Exposed shower off to the side but in plain view (not a fan). The view- amazing. Arc de Triomphe to the right and the top of the Eiffel just visible over some buildings to the left. Cool! Let’s do it I say! Not so fast says the petite Asian lady. And then the lecture starts. I’ve received two lectures so far on my apartment visits and have found that landlords love to give advice on why you won’t get the apartment to a guess help with your search? Her reasons: Foreigners are hard to rent to but then she added that she rented to a Swedish girl previously? Four months for a rental period was unusual and she could only do three months- fine I say! ohhh but it will be difficult to extend it if you want too. ok? Something about French laws… I might have zoned out and looked at the view as my heartbeat started getting faster and faster. I left the place slightly panicked to the landlady saying- “I haven’t said no, but I don’t think it’s possible.” Well silly lady- I didn’t want to rent from you anyways. 😛 You lecturer you! The fourth apartment non-visit. Un coup de chance (stroke of luck)?? It was in the 5th close to a friend of mine, a block from the Ile Saint Louis, a couple blocks from the Sorbonne, shall we say awesome? wait! no! not yet! Don’t do it Molly!!! I found the apartment on a site called sabbaticalhomes.com for students and professors while they are off studying. Huge bonus- everything was in English. I wrote the owner in English, got a response back saying they would love for me to come see the place and I was to call with any questions. The next day I called to the tune of a full blown interview- so tell me about yourself? But wait it was in English- so nailed it! Apartment visit on Tuesday- super excited! yes! I got the address of the apartment and walked by the area the next day. Incredible! It sounded like I had it in the bag. I even stopped looking for places. Not a good idea because a couple days later they emailed to say they were sorry but had rented it to the friend of the person that currently lived there. jrats! Serious bummer. I would have been on the third floor of this building!!! So here we are it’s July 25th and my search is getting quite frantic (but I think the owners are too). Here’s a tip my friend told me- reach out in English! Before I had been writing in my broken French which probably wasn’t all that enticing. In English, I can express myself better and I actually got a couple of what the call here- rendezvous! Two today, three tomorrow and one so far on Saturday. The fifth apartment visit. It was great- loved the area! Parc Monceau was literally right down the street! The neighborhood was quiet and safe. The building was beautiful! And the landlord- AMAZING. He made every effort to speak with me… in English?! What! He was so incredibly nice and even lived in the complex and would be able to help at any time. But then there was the apartment. The sixth apartment visit. I knew I was done for the moment I started emailing this lady. She was brisk and wanted to rent the apartment asap. I said sure why not! A visit doesn’t hurt. Right…? Then a text war started. We set a time 11:30 and she texted me the codes to the apartment building and the address and said to call at 11am. ok? Is the meeting moving to 11am? I texted back saying- great thank you, see you at 11am. She exclaims- appointment at 11am? 11:30? I reply- either time works, what is best for you? We set the time at 11:30. I show up at 11:30, text. She texts to take the elevator. I take the first one I see and end up on the sixth floor. The apartment is apparently on the 7th. I took the wrong elevator… a quick call and I’m on the right elevator (the one hidden in the courtyard behind the guardian). We meet and it’s French onslaught of questions. I freak! Incorrectly answering questions- how long will you be here? March. How long has your guarantor worked in France? 3 days? years! crap. Things were not going good. And the place was gosh darn cute! A little out of my budget but in the same area I currently lived and on a beautiful avenue with a view of the Invalides Dome where Napoleon is buried. She stops me- “This is too complicated.” In perfect English mind you. Then the second lecture I’ve received in my apartment search… It wasn’t going to work! Among the reasons that she didn’t want to rent to me was the fact that I took the wrong elevator, the times got confused, I didn’t have a dossier, and the garant was not present. ok Thanks for the visit! I say walking to the door. She follows, hand on my back whisking me out. Rejection! Noooo!!!! I wanted to go hide in a hole. I went to prepare my dossier and hang my head at my apartment. Blast! What did I need to include?! A big smile obviously wasn’t working. I found an awesome post on apartment hunting in Paris and set to work. Frantic text to my mom for a letter from work saying I’d be working from home (thanks mom!!). Several texts to Jenni who works here in France to see if she could send me three months of paychecks and a garant letter (seriously amazing friend. thank you!!!). Photocopies galore! Photocopy old guy asking me to go salsa dancing. 6 euro discount on 108 copies- bonus! Folders, paper clips, a pic of me, business card, visa/passport copies, reference letter from my current landlady (excellent suggestion mom! ), and an attestation from the Cordon Bleu that I indeed was a student and had paid for my school in full. ok- I think I’m good. peut-etre.. Tomorrow I have a rendezvous with a Brit for a flat off Rue Moufftard and another loft in prostitute land area that I’m probably going to say no too. Saturday, the one I’m really hoping for. A place in the 17th. I have no clue what it looks like but the description sounds great and the location is awesome. Man do I love the 17th for maybe one reason too many – my new buddy from Parc Monceau of course. wink! Thanks so much Sara! I think I’m on visit #12 now… yicks!! Holy stress – wishing you major luck! I know it will work out! Thanks so much Alex!! I think I *may* have found the place! Fingers crossed!